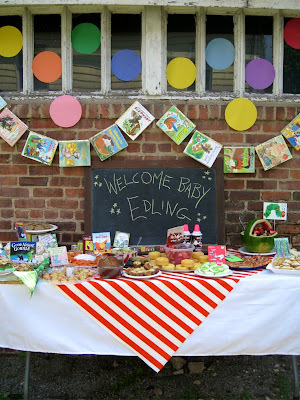 Last weekend we hosted a baby shower for some of our sweet friends. 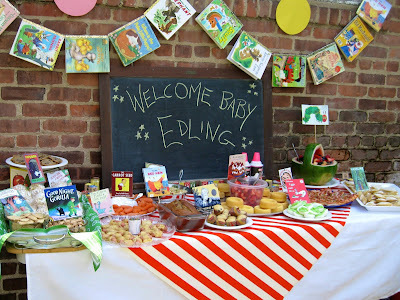 Since I'm a children's librarian and the hubs and I think fostering the love of books is a super important task as a parent, we decided it would be fun to make this a "book-themed" baby shower. One of my favorite blogs, Cakies, was a source of inspiration on this. Her friends did one for her that was WAY cute. 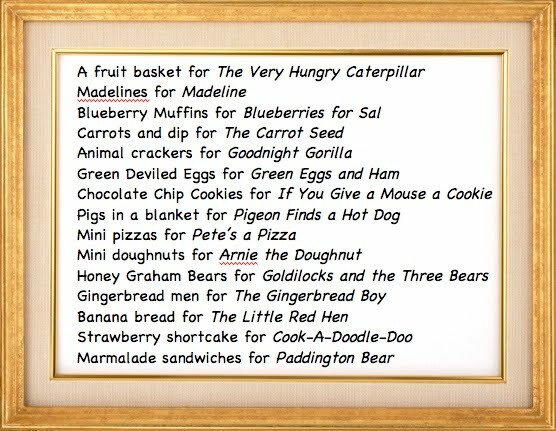 I loved their idea of book-themed food and so I came up with a similar list of books to plan a menu from. This took a LOT of time, so I really want to share it with you, reader - just in case you may ever want to replicate. Yep. You're welcome. 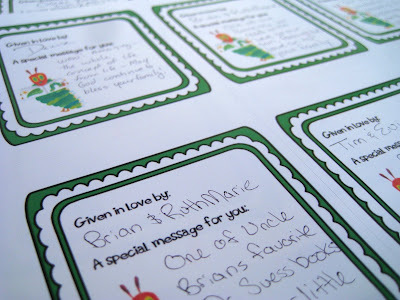 Well, you already saw the "Hungry Caterpillar" invitations we made for the occasion (Tim was my handy circle-cutter man). 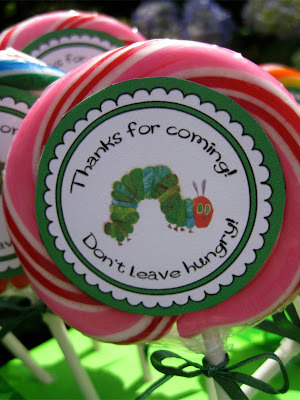 The Hungry Caterpillar was kind of my little go-to guy for the party as well. So, I made some sticker bookplates for guests to dedicate their book gifts with that little guy, as well as lollipop "thanks for coming" labels. 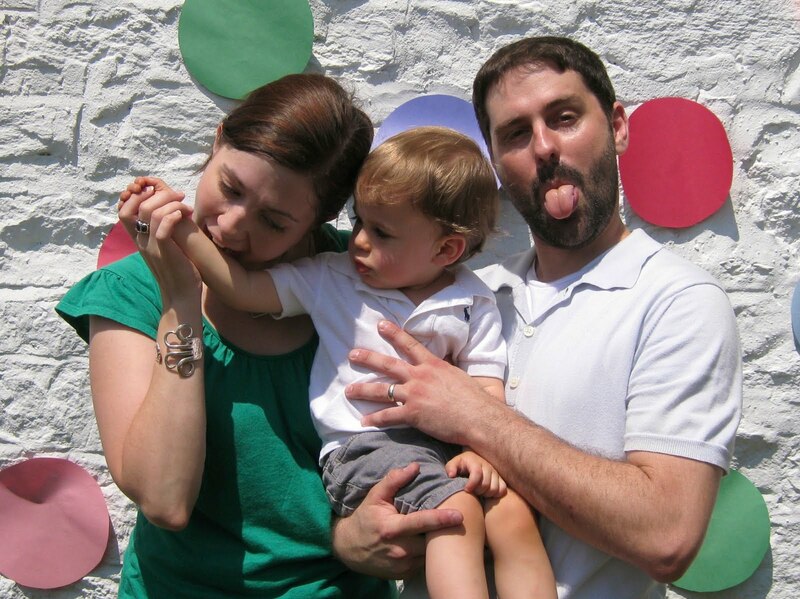 I gotta say, the lollys were quite a BIG hit with the under-ten crowd in attendance. 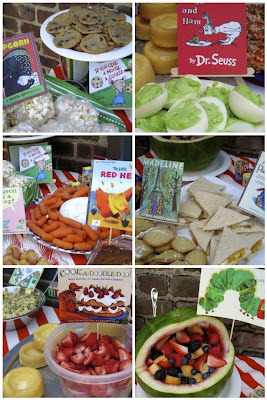 Some of the other fun touches were all the tiny book covers on skewers and popsicle stick easels to go with the food equivalents. We had some great games, too. This "Alternative Titles" game was too funny, created by Pink Tea. You have to guess what the actual title of the book is, with a clue like "Evening Salutations to a Celestial Orb" (to which the answer is "Goodnight Moon"). Hilarious! We also had a book character guessing game, where you have a character taped to your back and you must guess who you are by asking yes or no questions. Tim was the lion, Aslan - he was so proud of that. Then we did a "Guess the Book Cover" game with some photoshopped covers (pictured below). Maybe the most entertaining of all the games was the creation of our very own children's book for Emily and Brandon! We passed around a blank book and each of us had to draw a picture of the previous sentence written and then add a sentence of our own. Here is a video of Brandon reading the crazy book. Warning - it's pretty wacky. Anyway, I decorated with some of my stash of Golden Books, an old chalk board, and some funky old fabrics. 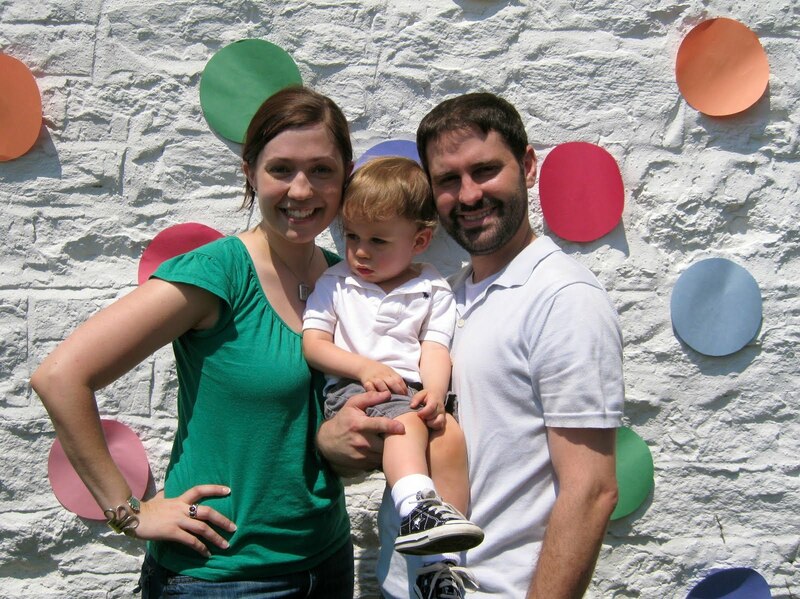 I also cut out 80+ construction paper circles to decorate the white brick wall in our back yard. It made a great backdrop to taking some silly pictures! What fun! you really outdid yourself! 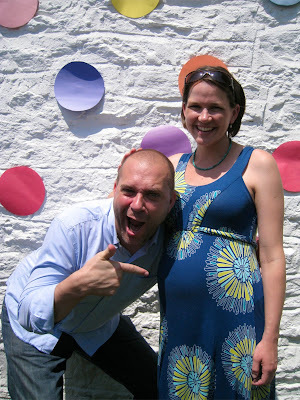 i so wish i could have you around and bask in your amazing party super powers. what memories they'll have, and another success for your portfolio! :) love ya chick! 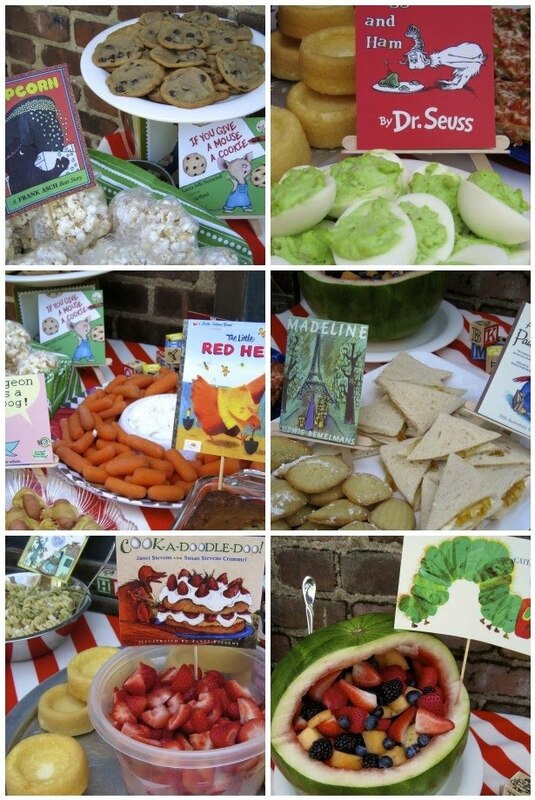 I love this book themed party! 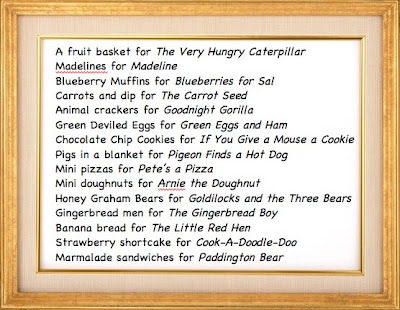 I am doing one for my daughter-- a real bookworm, and was wondering if you have a printable for the "guess the book title" game. Thanks! fabulous! 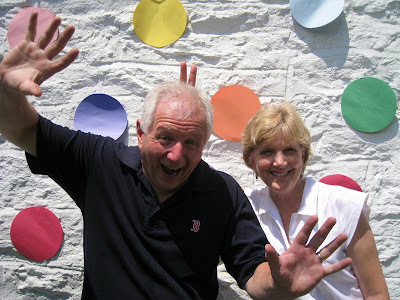 Do you happen to have a printable for the Guess the book game?!?! PLEASE!!! I am throwing a baby shower this weekend I would love to get a copy of that book game you created. Would you be willing to share the pdf with me please? neesemail@hotmail.com. Do you have a copy of the guess the book title game? Could you e-mail it to me at amanda.alton@gmail.com??? Thank you! Where did you find the miniature book covers? Wow! That is all amazing! I love the book theme! Would you be able to send a copy of the book game to my email, please! Lktbutterfly@yahoo.com. Thank you! 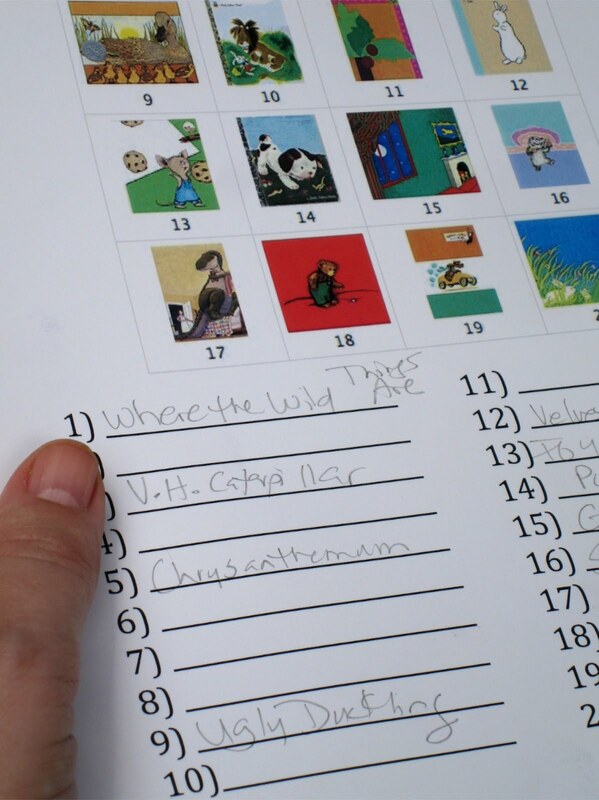 I would LOVE a copy of the guess the title of the book activity you did. Please email me a copy if you don't mind sharing! audrey.scarbriel@gmail.com Thanks so much! I would also love a copy of your book cover game for a shower I am throwing this week. If you don't mind, could you email me a copy? please, please, please!! Tamra.L.Chambers@gmail.com Thank you!!! Do you have the answers to the book title scramble game? Do you have the book cover available for purchase? Is love a copy of the game please! lindseyjorhoads@gmail.com Thanks!! Can you email me a copy of the guess the book game? !